Last time I checked, Mercedes-Benz had seven SUVs in their American lineup. Need a small luxury SUV? The GLA-Class is not bad for the sub-$34,000 base price. Want an alternative to the BMW X6? The Mercedes GLE Coupe will fulfill your fantasies. 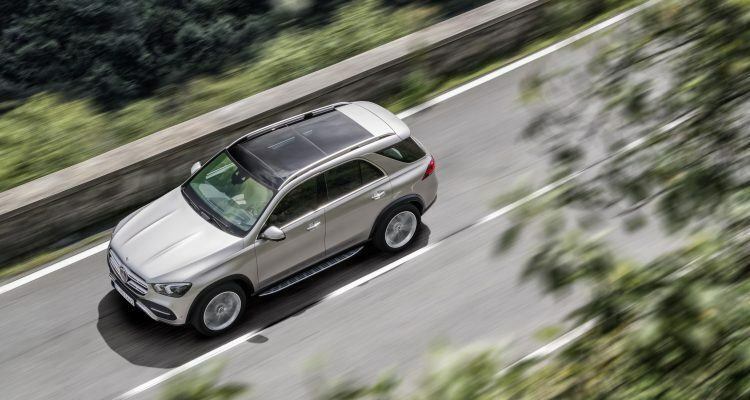 But if you want a Mercedes that can shame the BMW X5, both on and off-road, the 2019 Mercedes-Benz GLE-Class is your top choice. We got our first taste of Mercedes-Benz’s EQ Boost mild-hybrid system in the 2019 Mercedes-AMG E53 Sedan. In that car, the 48-volt ISG or Integrated-Starter Generator provides short blips of power as the turbochargers spool up. It’s not much different in the 2019 Mercedes-Benz GLE. The electric generator works with the 3.0-liter turbocharged inline-six motor to deliver more torque. The engine is good for 362 horsepower and 369 lb-ft. of torque. If you really need to know, the 2019 BMW X5 xDrive40i can only muster 335 horsepower and 330 lb-ft. of torque from a similar inline-six turbo motor with the same displacement. The generator also feeds power to the A/C compressor and water pump to lessen the burden on the gasoline motor. I assume this will make the GLE more responsive and more eager to attack as you bury the throttle. The base model GLE 350 and GLE 4MATIC make do with a smaller turbocharged 2.0-liter four-banger. It summons 255 horsepower and 273 lb-ft. of torque. Each engine is bolted to an AMG-spec nine-speed automatic. 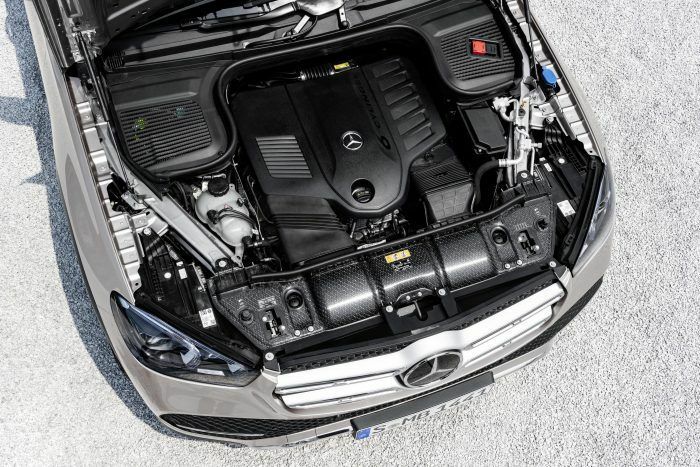 The EQ Boost system is only available on the GLE 450 4MATIC with the 3.0-liter inline-six motor. During development of the 2019 GLE, Computer-Aided Engineering simulations were conducted inside wind tunnels in Sindelfingen, Germany. As a result, the new GLE is more aerodynamic and efficient, achieving a 0.29 Cd (drag coefficient) versus the prior model at 0.32. Photo: MBUSA. The 2019 Mercedes-Benz GLE definitely looks like a luxury SUV with a long wheelbase and short overhangs. It also comes with ultra-bright LED headlights, 19 to 22-inch wheels, and chrome surrounds on the windows. But with an upright radiator grille, chrome-plated front underguards, and a large hood with twin power domes, there is no mistaking the go-anywhere capabilities. All trim models come with the 4MATIC intelligent all-wheel drive system. The base model gets a mechanical transfer case that feeds the torque an even 50:50 between the front and rear wheels. Higher trim models receive an electronically-controlled multi-disc clutch which can transfer 100 percent of the available torque between the front and rear axles. The torque-on-demand transfer case can also enhance handling on paved roads. 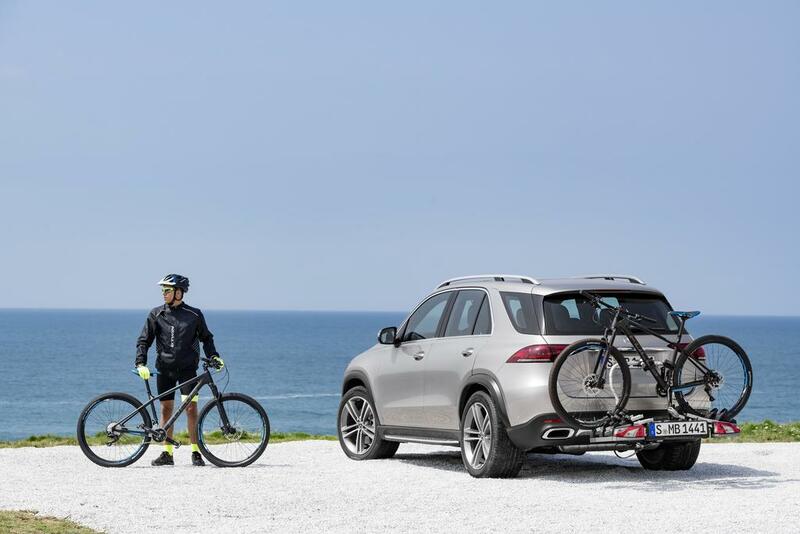 The 2019 Mercedes-Benz GLE comes optional with the E-Active Body Control Suspension. This new system is developed in-house by Mercedes. It works in harmony with the AIRMATIC suspension to enhance ride comfort, grip, and agility. According to Mercedes-Benz, it’s the only system available that allows the spring and damping forces to be individually controlled at each wheel. The newly-developed suspension also offers a unique free-driving mode. It can raise or lower the suspension automatically to change the ground pressure on each tire. The theory is to help the SUV if it gets stuck in a mud pit or sand dune. The new suspension system allows the SUV to lean into bends similar to a motorcycle. The result is sharper cornering and more confident handling even at higher speeds. The system can be equipped with a stereo camera that scans the road surfaces too. This allows the suspension to react in advance. Of course, if all this tech wizardry scares you, the 2019 Mercedes-Benz GLE can also be fitted with a conventional suspension. Mercedes-Benz launched the M-Class in 1997, a nameplate that remained until the fall of 2015. The M-Class then became the GLE, further emphasizing its positioning in the E-Class family. Photo: MBUSA. No new Mercedes is complete without an array of clever driver-assistance features. The Active Distant Assist system recognizes and responds to traffic jams or slow-moving traffic. The Active Stop-and-Go Assist feature is also great for traffic jams, helping drivers maintain a safe distance from the vehicles ahead. It can haul the SUV to a complete stop and get it moving once again, up to one minute after coming to a stop. And it can do this without any inputs from the driver. The new GLE comes with the latest generation of MBUX, or Mercedes-Benz User Experience. It has two large 12.3-inch screens arranged in-line for a widescreen viewing angle. The system even supports hand gestures courtesy of the MBUX Interior Assistant. It is all creepily high-tech inside the GLE. The features will make you think twice about bashing this SUV on a nearby dirt road or off-road trail! The new Mercedes-Benz GLE is a huge step up from the previous model. With a 3.1-inch longer wheelbase, interior spaciousness improves. The extra room also allows enough space to fit an optional third-row seat. The front seats are electrically-adjustable and offer different seating kinetics for better comfort. The seats adapt to changes in posture by allowing minute movements in the backrest and seat cushion. The 2019 Mercedes-Benz GLE lineup is available now. The GLE 350 starts at $56,200, while the GLE 450 begins at $61,150. An AMG variant – the Mercedes-AMG GLE 53 – is due late next year. 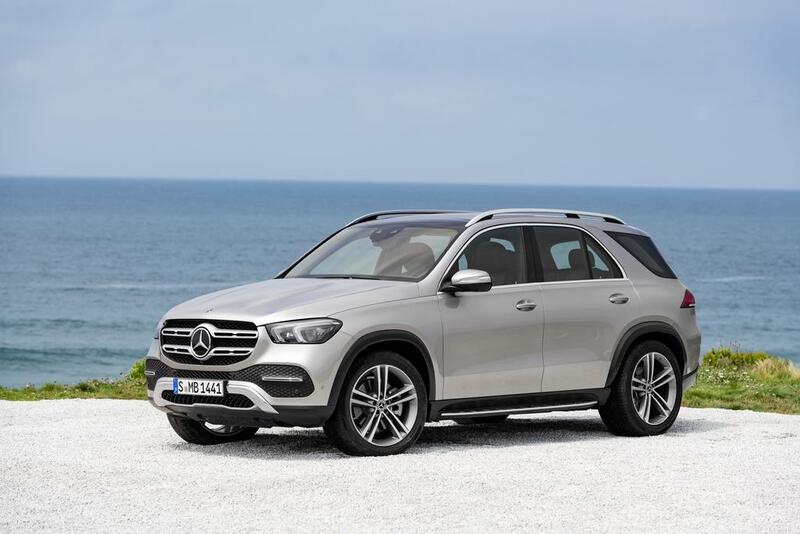 No Comments on "2019 Mercedes-Benz GLE: Innovative To The Core"